CHICAGO — This same time last year, FBI Director Robert S. Mueller III was feeling a little nostalgic when he spoke in Orlando before the International Association of Chiefs of Police Conference. It was like a final victory lap, the last speech as director before the group. But in a move that caught almost everyone by surprise, the White House earlier this year asked him to stay on two more years beyond his 10-year term. After some consultation, Mueller, now 67, obliged and Congress confirmed his stay. On Monday, here in downtown Chicago, that twist in the road was not lost as he spoke before a crowd at the IACP in a cavernous auditorium at the McCormick Place convention center. “I will admit to feeling a bit nostalgic last year, believing it was my final meeting with you. I fully intended to finish my term last month,” he said before the crowd and some Washington-based notables, Attorney Gen. Eric Holder Jr. and Acting ATF Director B. Todd Jones. “I will say when the President asked whether I would be willing to continue as FBI Director for another two years, I sought advice from many people, because I believe a leader is often the last to know when it is time to go. ‘Three considerations persuaded me to extend my term. First, it would be hard, at any time, to leave the FBI family, and indeed, the larger law enforcement family. I am lucky to work with such talented and dedicated people. 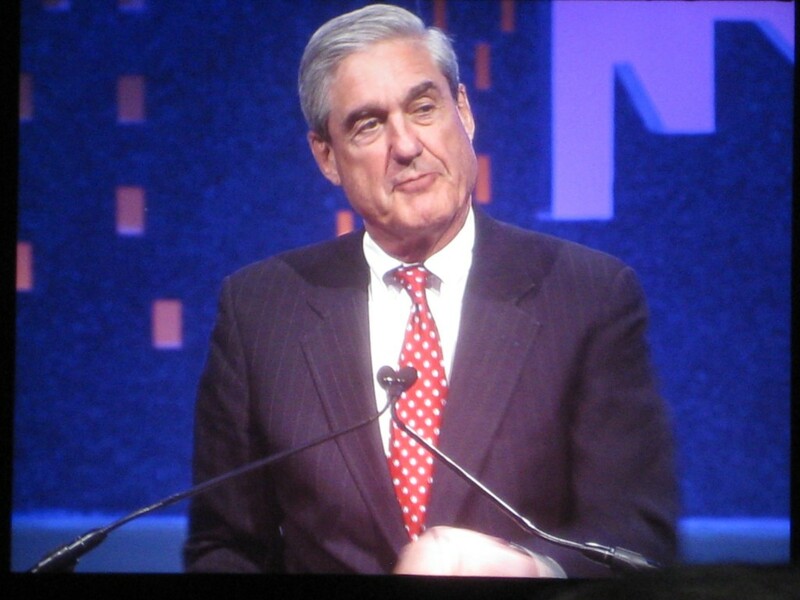 Mueller went on to talk about the changes at the FBI since the Sept. 11, 2001 attacks, organized crime and the ever-looming threat of terrorism. Posted: 10/24/11 at 3:15 PM under FBI, News Story.